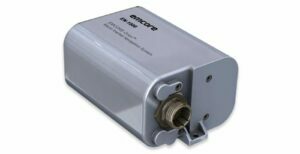 EMCORE Corporation, a provider of inertial sensing products for unmanned systems, has announced that it has been awarded a contract valued at over $4 million to design and manufacture navigational grade Inertial Navigation Systems (INS) for a maritime systems application. This new INS will be based on the EMCORE-Orion series of navigators which incorporate EMCORE’s latest generation Fiber Optic Gyroscope (FOG) technology. It is designed to be a Form, Fit and Function (FFF) replacement for legacy LN-100 units used in this application. As part of the contract EMCORE expects to deliver initial production units that will be used for qualification.